OEConnection announced Wednesday that collision repairers and dealerships nationwide will soon be able to buy and sell official Subaru collision parts at “conquest” discounts on CollisionLink. The Subaru announcement follows the recent additions of Volvo and Mercedes and brings CollisionLink to 19 OEM dealer networks. “We work with virtually every major OEM in the market,” OEConnection manager of branding and culture Geo Money said. The luxury automakers seem to be about the only brands left for the program to sign. OEM contracts are usually 2-3 years long, according to Money, and OEConnection has a 97 percent customer retention rate. Statista says Subaru had a 3.1 percent U.S. market share in 2014, making it a larger “get” for OEConnection than Volvo and Mercedes. Bloomberg Business also reported that the company has posted the highest gain in sales of any U.S. automaker this year. 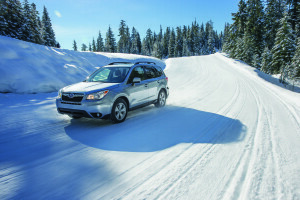 OEConnection said Subaru’s 626 U.S. dealerships will be able to sell Subaru Genuine Wholesale Conquest parts on CollisionLink in early 2016. “I have been using CollisionLink for more than ten years. My collision shop customers use CollisionLink regularly to send us their orders electronically because it makes order processing faster and more accurate,” Jason Fowles, parts manager at Salt Lake City-based Nate Wade Subaru, said in a statement. “I am excited for Subaru to launch a parts marketing program through CollisionLink because now I can offer my customers more competitive pricing and sell more Subaru OE parts,” he added. Money said dealer buy-in “varies,” but is typically strong. Some OEMs even see dealer CollisionLink adoption in the 90 percent range. “It’s a way of efficiencies for our dealers as well,” Money said. Some dealerships also use the program as a buyer when their body shop is fixing a vehicle from another brand.